PT Indocement Tunggal Prakarsa Tbk - Indocement is one of the largest cement producers in Indonesia with installed total production capacity of 24.9 million tons of cement. Indocement is a local subsidiary company of German based HeidelbergCement Group. As at the end of 2017, HeidelbergCement Group holds 51% shares of Indocement through Birchwood Omnia Ltd. Other remaining shares was onwed general public and investors. Headquartered in Jakarta, Indocement has 13 plants, 43 batching plants and 601 mixer truck units throughout Indonesia. Ten plants, are located at Citeureup plant Bogor, West Java; two plant at the Palimanan Factory, Cirebon, West Java; and one plant in Tarjun Factory, Kotabaru, South Kalimantan. According to information found in PT Indocement Tunggal Prakarsa Tbk Annual Report 2017 as cited by JobsCDC.com, Indocement recorded a decrease in net revenue by 6.1% of Rp14,431 billion as compared to Rp15,362 billion in 2016. Referring to its annual report, the decline in Indocement’s revenues in 2017 resulted in a decrease in net profit. 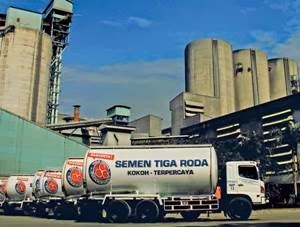 Indocement booked total net profit of Rp1,860 billion in 2017. This number is a 51.9% decrease from Rp3,870 billion in the previous year (2016). Bachelor Degree (S1) in Computer Science. GPA is not less than 3.5 out of 4.0. Familiar with VB.NET, ASP.NET, PHP, MVC, Android Visual Studio, Lotus Domino script is preferable. GPA is not less than 3.0 out of 4.0. Technical experience on AAA server (Cisco ACS, Voice, Video, Ip PBX will be an advantage). Fast learner and able to work multi tasking. Possess certification in VMWare is preferable. Commit to support 24x7 Operational type. Bachelor Degree (S1) in Computer Engineering, Computer Science. Familiar with Active Directory, Standard network configuration, Lotus Notes or Microsoft Outlook. Willing to be placed at Citeureup plant. Bachelor Degree (S1) in Computer Science, Information System. Technical knowledge of fundamental operations of relevant software (such as Microsoft Windows OS, Lotus Notes, and Microsoft Office), hardware and other network equipment. Related experience and training in troubleshooting and providing helpdesk support and customer service practices. JobsCDC.com now available on android device. Download now on Google Play here. Please be aware of recruitment fraud. The entire stage of this selection process is free of charge. PT Indocement Tunggal Prakarsa Tbk - Officer, Administrator, Programmer IT Indocement June 2018 will never ask for fees or upfront payments for any purposes during the recruitment process such as transportation and accommodation.